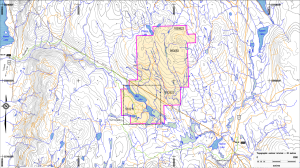 The Rey Lake copper-molybdenum prospect is located in south-central BC, 24 km north of Merritt. The property extends from the northern slope of Swakum Mtn. To the north side of Rey Lake and includes the lower slopes of Mt. Guichon. Access to the property is by public roads. 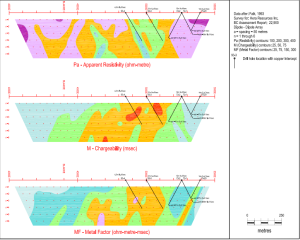 The property is located in the northwest-trending Triassic Nicola Group rocks, the same belt that also hosts the Highland Valley mine to the northeast and the Copper Mountain mine to the south. The property is covered with 3 tenures (510210, 993683 & 1012923) compromising 1052 hecatres that are in good standing to 2017.12.31. 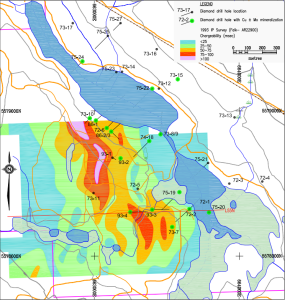 The property hosts the Rey Lake prospect (Minfile 097ISE160), which is classified as a copper-molybdenum porphyry and related skarn zone. 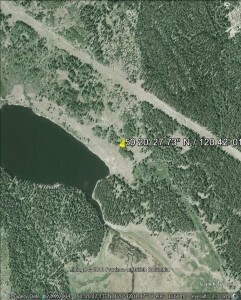 It is located on the south side of Rey Lake, within claim 510210.